---NATURAL HIGH (nat181 )presents in 2 Levels!!! 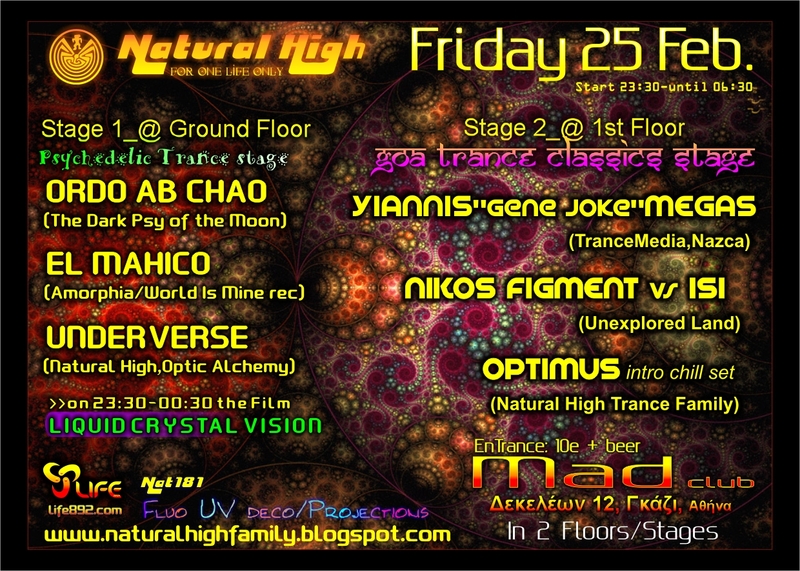 Psychedelic Floor & GOA Trance Classics Stage!! !